I have had some interesting conversation since posting about my fitness journey. Mostly all good, uplifting and encouraging! BUT with that said we will all have haters in life now won't we? I mean that's okay but I did want to take a minute to talk about the reason I want to take care of my body and let me tell you it's not just to be skinny. I don't even really like the word skinny. I mean it just kinda sounds all screachy and painful. I am not a fan when someone says "I just want to be skinny". I think that has become a dangerous word around so many incredibly strong women that I am blessed to be around. Skinny does not always equate to healthy. I think all women at one point or another have struggled with some form of body image. Some more than others. Some have been burdened by eating disorders, anxiety, self hate and low self esteem about the way that they look. That seriously makes my heart sad. I am no stranger to some of these feelings. I honestly never struggled so severely with body image as many women and friends that I know. I credit that largely to great parents who always reminded me of how fearfully and wonderfully made I was. I think the Lord really protected my heart in that area of my life too. BUT I did HATE parts of my body and didn't feel as comfortable with how I looked and felt at times. If you want to change anything in your life you have to but forth effort, right? It is not going to magically change unless you do something about it. You have to make it a PRIORITY!I have realized this way too many times in my life about many situations but my health and fitness goals were a big one. So is the only reason I am working out and eating well to "look good"? Well in the past I probably would have said yes but now I would say a big fat NO! Why? because I realized for me that mentality did not propel me to reach my goals. What propelled me to reach my goals and what continues to keep me going is the way that I FEEL. I can tell you that I feel so much better when I am exercising and fueling my body with clean foods. This is why I want to be/and stay healthy with exercise and clean eating (most of the time, I'm human!). Not to mention that it is scientifically proven that being physically fit can produce all of these feelings and MUCH more. Oh ya and can prevent from a myriad of diseases (That's a whole other rabbit trail)! If all of those reasons aren't a good reason to be fit, I don't know what is? I am doing this to be STRONGER not skinnier (I really hate that word). Stronger physically, stronger mentally and stronger spiritually. So here is to be stronger all around! How do you look at your health and fitness goals? Are they too be skinny? A quick fix? Do you have fitness goals or even goals period? What do they look like and how do you approach them? Are your goals being met? Why or why not? Now that I have asked you a million questions...I would encourage you to think about these questions, write them out and be HONEST! Share them with me! I would love to hear them and maybe even help you reach them (I would be honored to do so). Till then I will be over here getting STRONGER....slowly. Day by day and one step and a time. Goals (and becoming stronger) take time and they are not easy! If it were easy, what satisfaction would we have in meeting them? I have heavy, thick long hair that takes FOREVER to curl so I needed a new way to way curl my hair FAST. Viola here it is! 2. 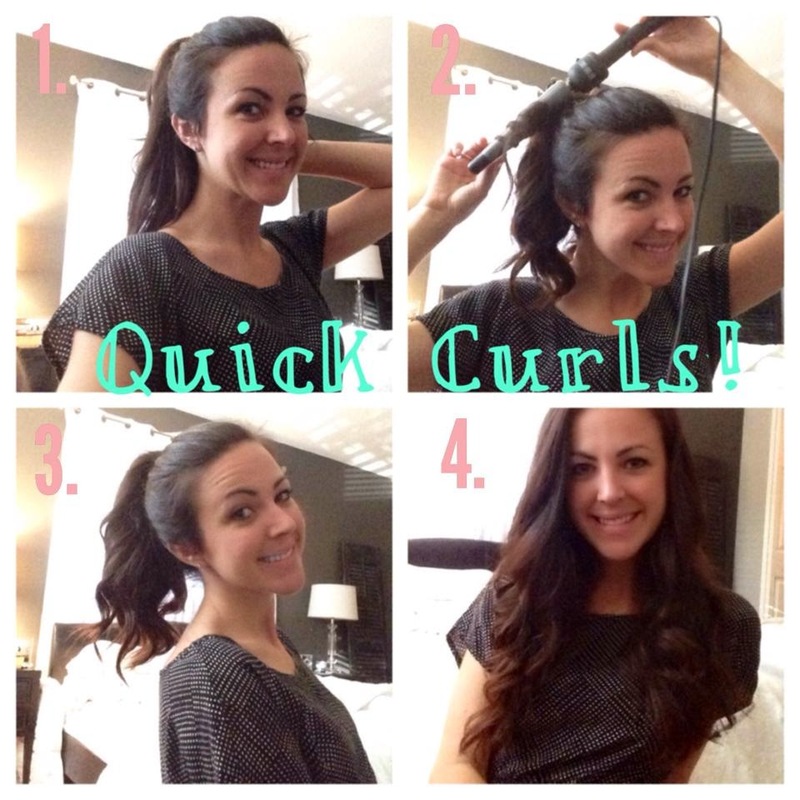 Take small sections of your pony and start curlin! It is more of a lose wavy/curly look but I prefer that! Seriously takes me 5 minutes to do and is so easy. You can pin it or leave it to change up the looks. It's perfect summer hair! 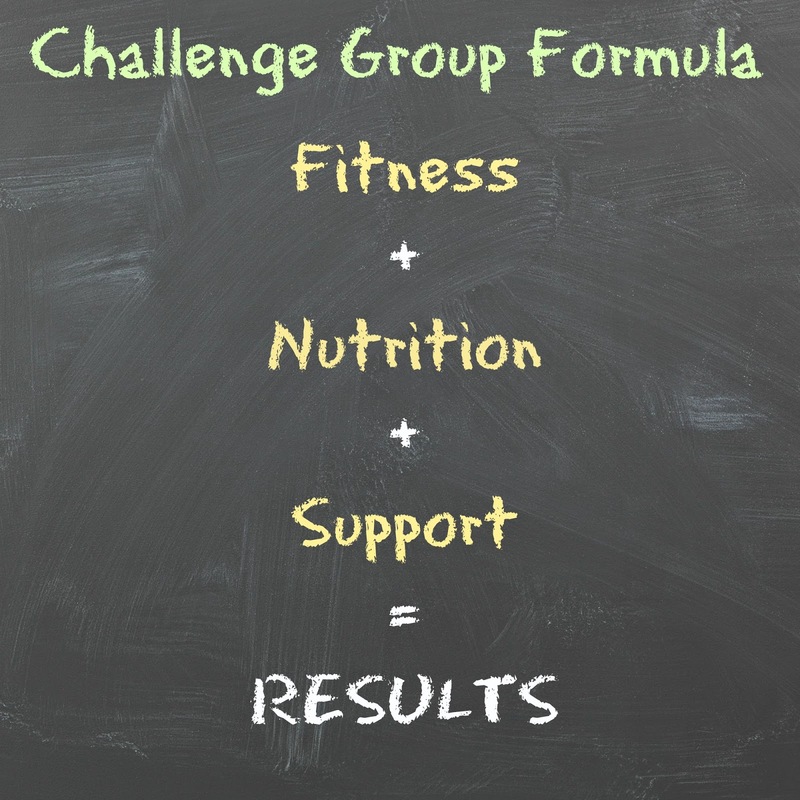 So your first question may be, well what is a challenge group? I answer this question in the video below (don't you love the screen shot??). I had A LOT of questions before I joined a Challenge Group, so I assume you may have the same questions. Watch the video and then see below for the FAQ! 1. What do I need to join a challenge group? #1 A Beachbody Program, T25, P90x3, ect... #2 Shakeoloy, 30 day supply #3 Accountability, be present in the group! 2. Can I save on cost by purchasing items together? YES! You can purchase something called a Challenge Pack which includes your program and a 30 day supply of Shakeology and save up to 25-30%! WHO DOESN'T LOVE A DEAL! 3. Is there ever any sales on Challenge Packs? YES! Every month there is a new promotions on Challenge Packs. Make sure to ask your Beachbody Coach about the monthly deals. 4. So what is this Shakeology stuff? Shakeology is a meal replacement, a whole food and vitamin supplement and a nutrient dense and all natural Super Food Shake. If you want all the details on shakeology, this FAQ page is a fantastic resource. 5. Do I have to be fit to start in a Challenge Group? Heck no! A Challenge Group is literally for EVERYONE. If this is your first time ever working out, what a great way to start! 6. How do I know which Challenge pack or Beachbody program to choose? Discuss your goals with your coach. They can help you pick the program that is perfect for you. There is a program for everyone; whether you want to lose weight, gain weight, tone up or just want to be healthier. 7. What if I need help knowing what and how much to eat? No problem! As your coach we will guide you with a meal plan and nutrition guidance throughout the entire challenge. Some programs, such as the 21 day fix, come with a meal plan and in that case we will encourage you to follow that meal plan. However we will offer advice, suggestions and answer any questions you may have along the way. 8. How long is a Challenge Group?